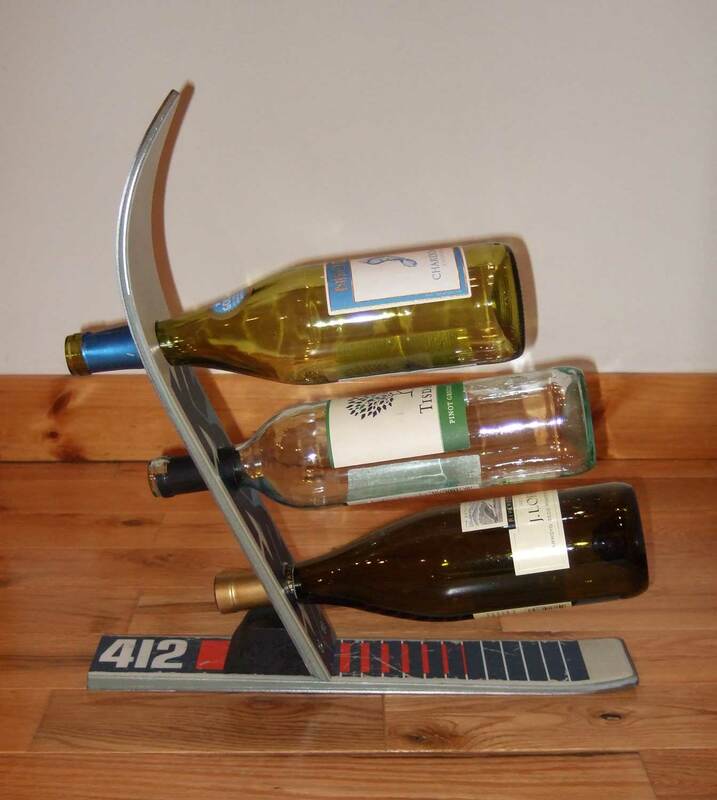 SKI BOTTLE OPENERS, COAT RACKS, WINE RACKS, TABLES, FLOWERS… YOU NAME IT! As with all Adirondack Ski Chairs of Lake Placid items, all skis have been restored and refurbished to a “new” state where rust and grime has been removed, scratches diminished, and clear acrylic coating applied. Keep the kids room tidy and the adults gear in order with these fun hangers. The perfect accent to any mud room, den, or kid’s room, especially where closet space is limited. 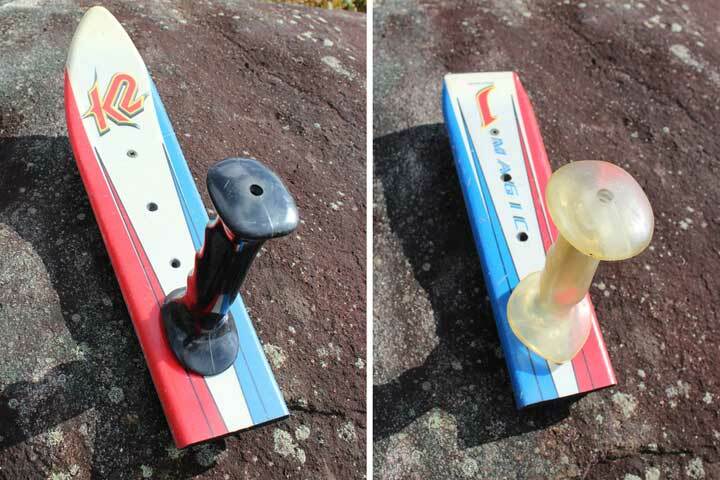 Hooks are made from ski pole handles or stems. Wall-mount racks come predrilled (16″ on center) with hardware, making hanging one of these a breeze! 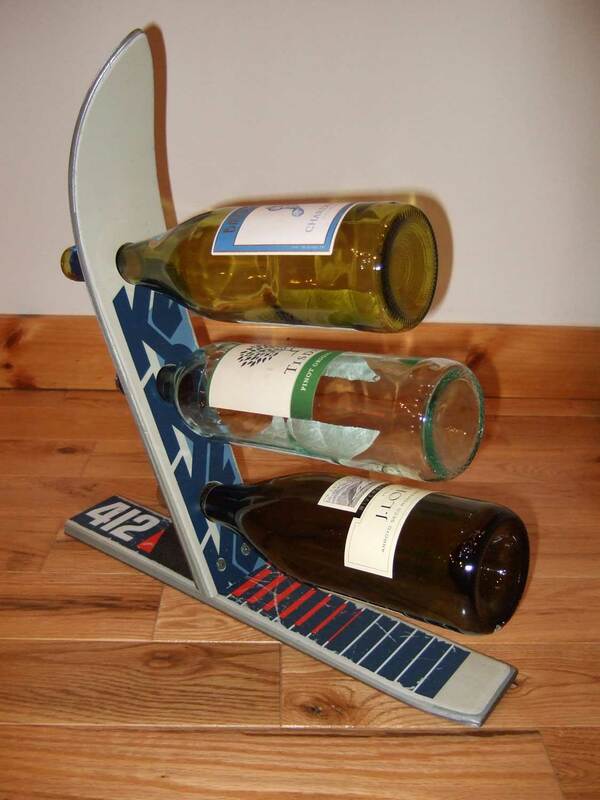 A nice addition along side a ski chair, between a pair of ski chairs, or on their own. 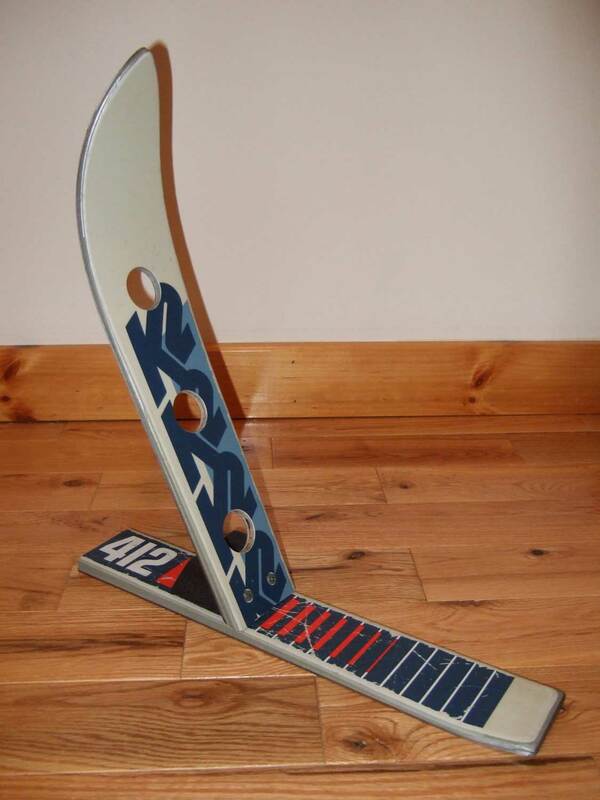 Generally made from ski tails, tips can also be used with curves pointing up or down. Wood components are made from of pine, cedar, or pressure treated lumber. Optional black stain or clear water sealant. Dimensions and ski selection can be customized to suit your needs. 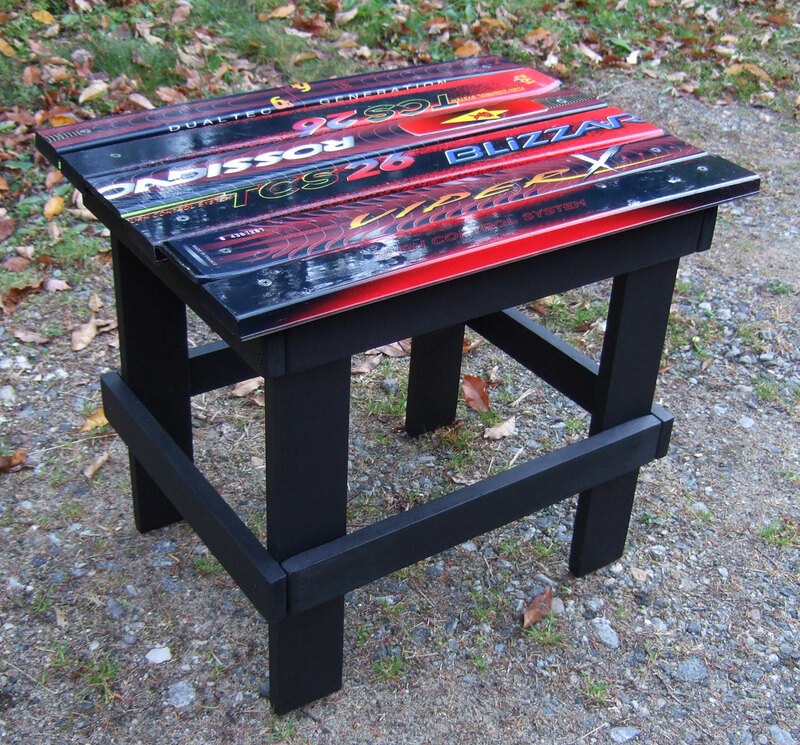 Average table top measures 21″ and stands 18″ in height and price reflects this dimension. Enough people have come to us over the years asking if we make these, so when a friend wanted to order one as a Christmas gift, the prototype was built. Here it is, with many more surely to come. Fully customizable, and binding optional. The real McCoy. Some ski upcycler bottle openers don’t use the actual binding to open the bottle. But these do just that. Only the old metal bindings function as true bottle openers (without hiding a store bought bottle opener under a binding). It took some head scratching to get them to work, but we’re proud to offer these vintage beauties. Quantities are limited. Featuring sixteen ski-tip petals, this garden accent will brighten any home. Available with or without “leaf” skis and pole. See “Available” tab for current selection or have one built for you!